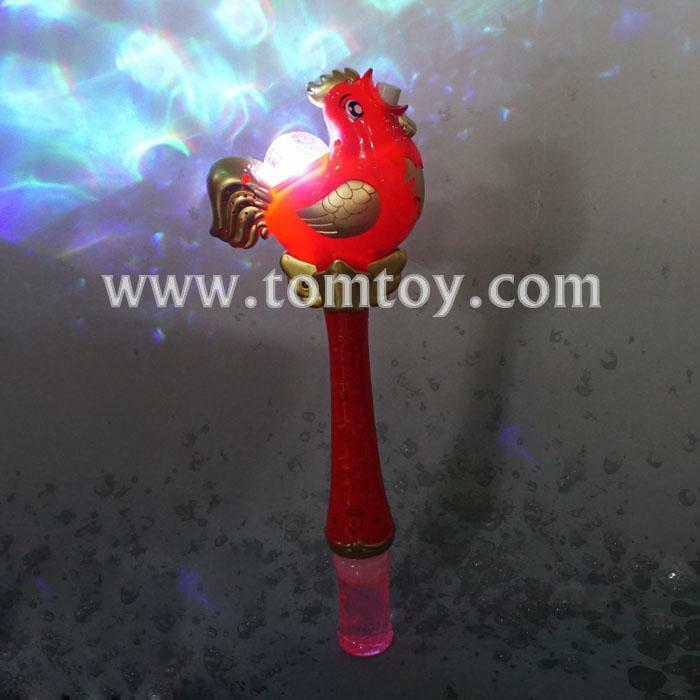 4.Multicolor LED light from the prisim ball and rooster mouth comes out bubbles. The bubble gun will brightly light up as you are shooting bubbles. Looks very cool at night!